Bjorn Wiinblad is known for his colourful, imaginative universe of fertile female figures and a completely unique level of detail. This signature stroke is recognisable on the 16 cm jar with lid Maskarade, which is available in a medium-blue nuance. Give it as a gift to a dear friend, or give your home an artistic, creative touch with Bjorn Wiinblad's effervescent universe Ð on the coffee table, in the windowsill or in the bathroom. 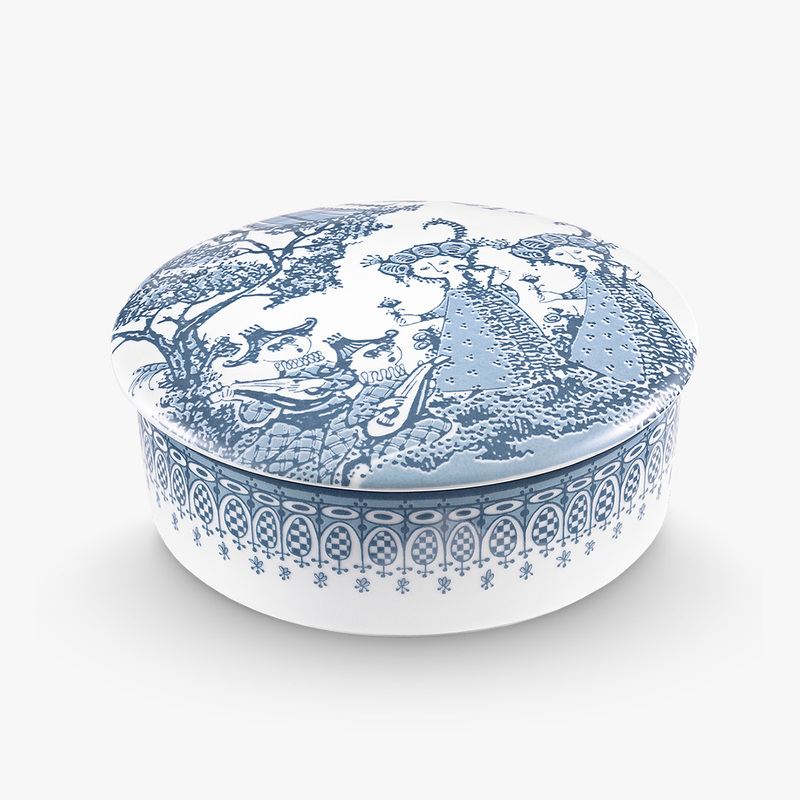 The jar with lid is made for serving sweet and salt, for keeping nips and jewellery - or as an extra special way of serving a starter or dessert.